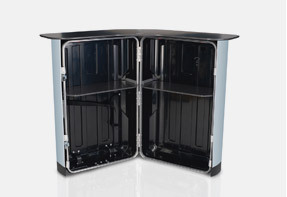 Expolinc Case & Counter is a spacious transport case in a minute converted into a stylish and stable counter. The soft, rounded corners of the top shelf create an inviting meeting point with your message exposed on the cover of the case panel. The case is designed with straight corners to fully make use of the package space while in the same time it is easy to store and carry. 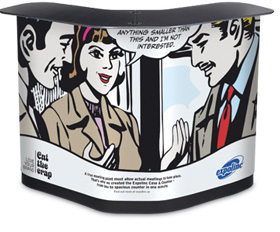 Case & Counter is available as ready Pop Up packages but can also be used for transportation of other portable display systems. Sturdy shelves for discreet storage. 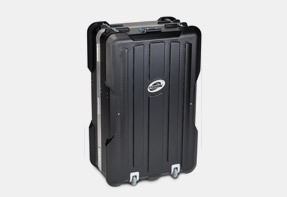 The case is designed for a maximum pack volume of 196 liters.